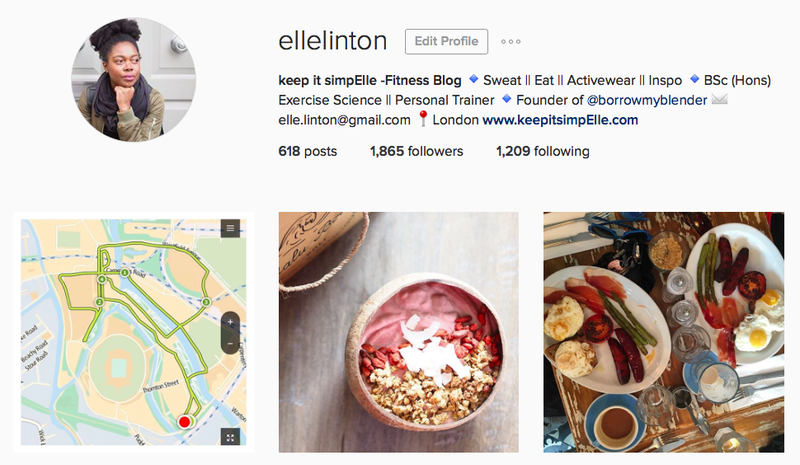 It’s no secret that I really do love Instagram (IG). I’ve owned a camera since my childhood and have heaps of photo albums. Lucky for me, we can now keep everything online and IG is one great way to share your favourite moments through photographs. (L – R) I’ve been training for The British 10km using a TomTom Runner 2 which tracks your heart rate and can also store your music which you can listen to via bluetooth headphones. All on top of being a GPS. A new addition to my kitchen cupboards is this beautiful bowl made from a coconut shell which was brought all the way from Bali for me by friend and yoga teacher Zara. Like I’ve said before, half the fun of cycling is the eating. We stopped off in Broadway Market, Hackney last Sunday for brunch and lots of inspiring chats! (L – R Top) And because I think I’m superwoman, we went on a little 5km run around the Olympic Park before we hopped on our bikes! As you do! Here’s me teaching! One of my favourite parts of the week! You can check out my teaching schedule on the Train With Elle page and I usually post on FB where you can sweat with me, or classes where I make you sweat! The realities of lunch on the go! Ordered in from EatFirst and delivered straight to my lap. Download their app now (or visit their website here) and use my referral code RF9HV51K for £7.50 off your first order! 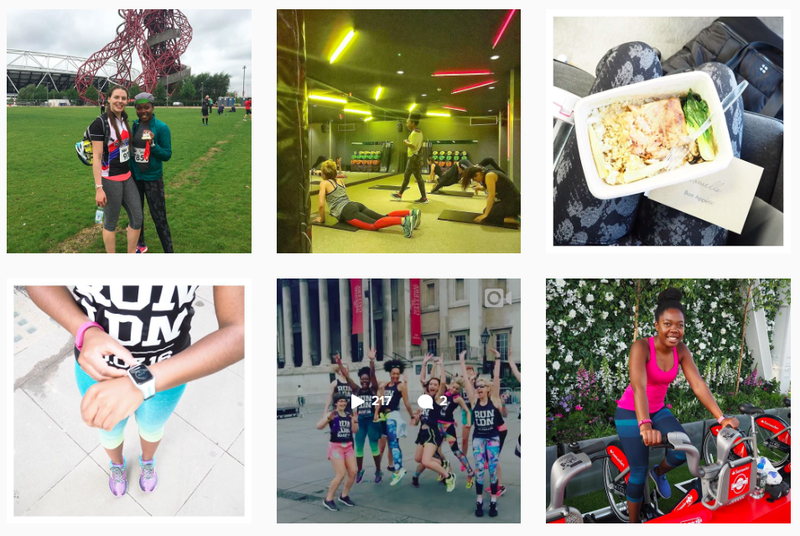 (L – R Bottom) We went on a little run with Olympic Athlete Perri Shakes-Drayton in training for The British 10km; you can read about that, and my training schedule here. I went along to an epic event with Santander Cycles at The Shard. The views were fantastic! There will be more events over the Summer so have a read of my post here to find out how yo can get involved! (L – R Top) My friends over at VeloVixen got featured in The Times and the main picture had yours truly in it! I love that the pictures from the shoot still get used to this day! (L – R Bottom) Breakfast in Mykonos. This was all for me. Another favourite shot of mine taken wearing a reversible one piece also from Sweaty Betty. Oh, another favourite shot from Mykonos wearing an embroidered smock dress from Topshop. 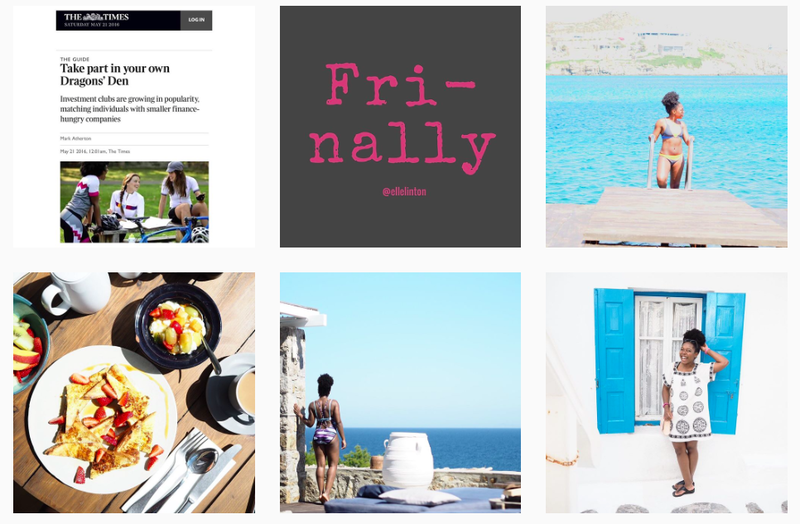 I have so many shots from my vacay that I updated an unused IG account and turned it into an travel account where I will be sharing a selection of photos from Mykonos through the month of June. 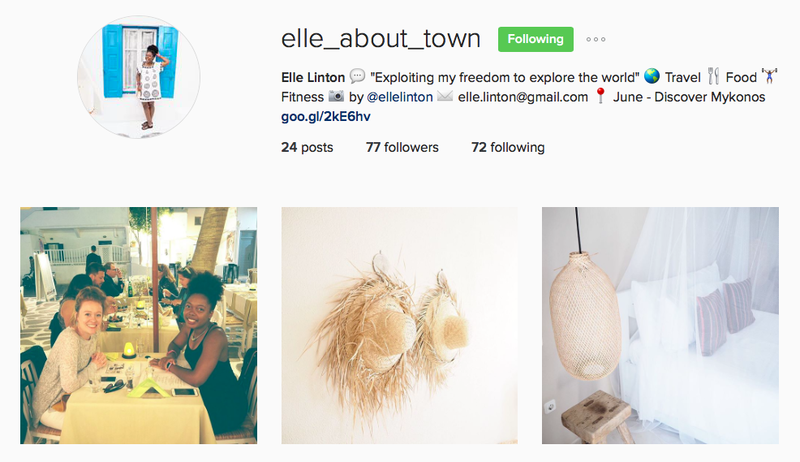 You can follow that account here – @Elle_About_Town. I’m hoping to “get about” a lot more over the rest of the year! So come join in the fun on IG! If you follow me, leave me a comment so I can make sure to follow you back too!